If you weren’t already aware, there’s a huge disparity in quality when it comes to blankets. Don’t settle for any old blanket that uses cheap, outsourced material and shoddy construction. If you plan to use your blankets for more than one season, make sure you go with a trustworthy brand like the Bibb Home 100% Organic Certified Cotton Weave Blanket. 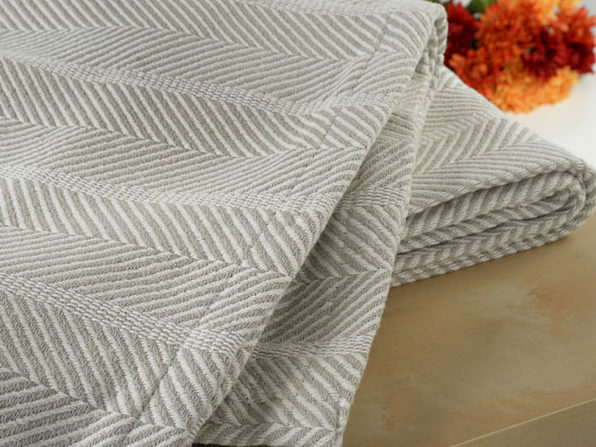 This cotton weave blanket is a timeless classic that is perfect for year-round use. It’ll keep you at an optimal temperature during warm summer nights and when layered in the frigid winter. Constructed out of 100% GOTS-certified organic cotton, the Bibb Home Blanket is extremely soft and smooth. All materials are grown without the use of synthetic fertilizers, toxic pesticides, or genetic engineering. Plus, only eco-friendly fiber-reactive nontoxic dyes are used in the coloring process! Designed by an American textile company with 140 years of manufacturing experience, the Bibb Home 100% Organic Certified Cotton Weave Blanket is one of the best in its price range. It’s ideal for Full and Queen-sized beds. Originally, it was 81% off the MSRP. Be sure to use the coupon code, NEWYEAR2019, for an additional 19% off this already discounted price. That brings your total down to $27.54.